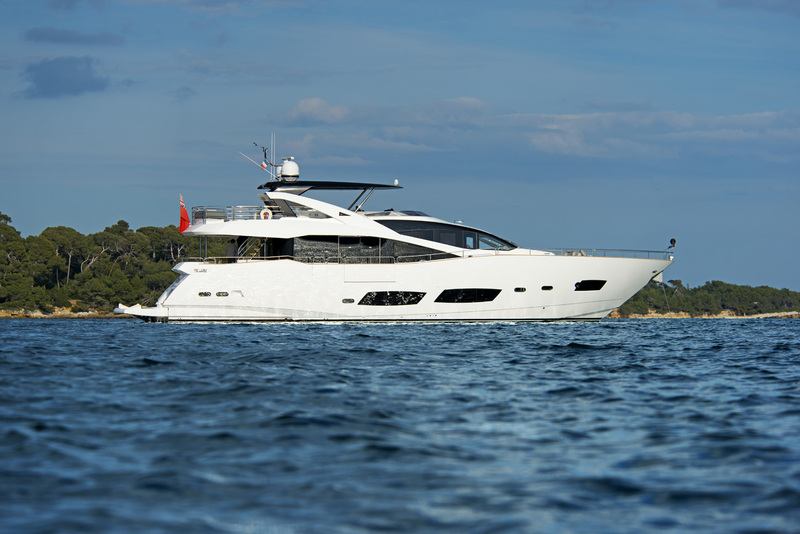 Measuring 28 meters in length, the luxury motor yacht OASIS (Ex In All Fairness) is a beautiful Sunseeker 28 vessel, launched by the well known UK-based builder Sunseeker Yachts in 2012. 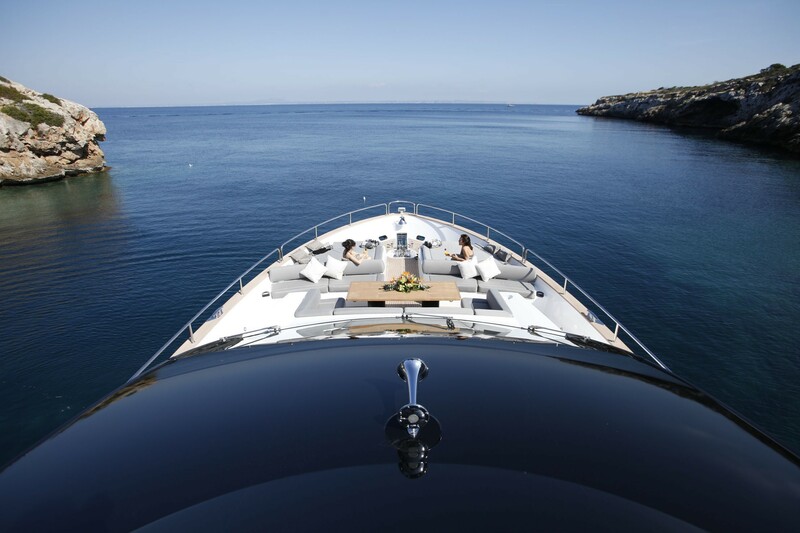 In order to increase comfort at anchor as well as on rough waters, the OASIS superyacht boasts 'at anchor stabilisers' which work at zero speed. 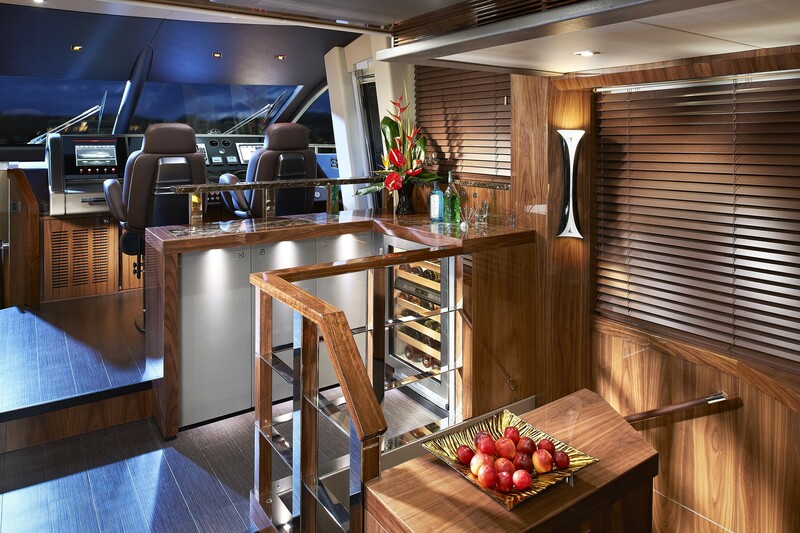 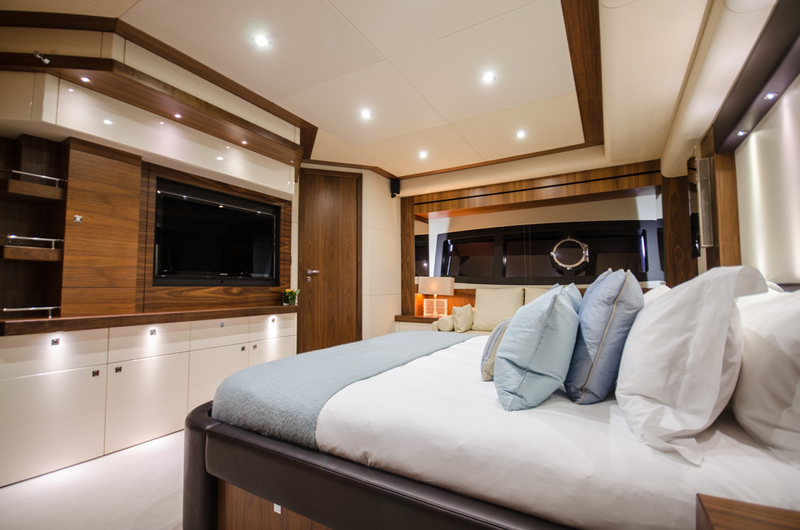 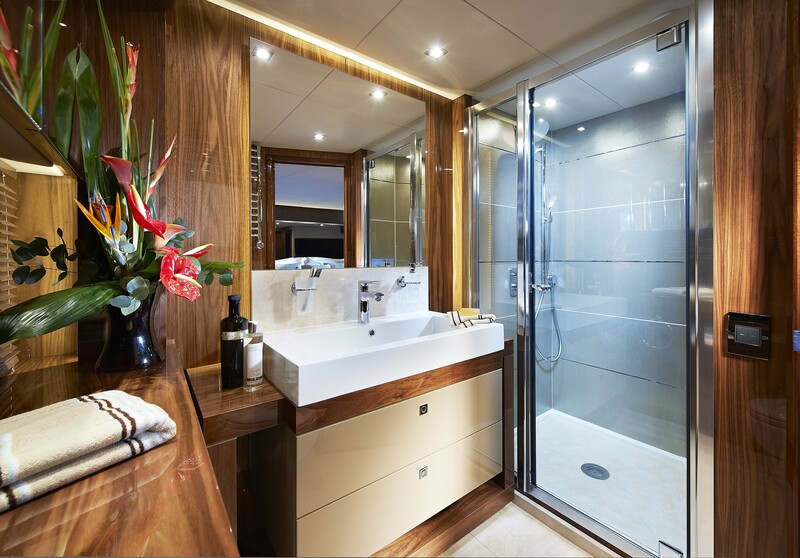 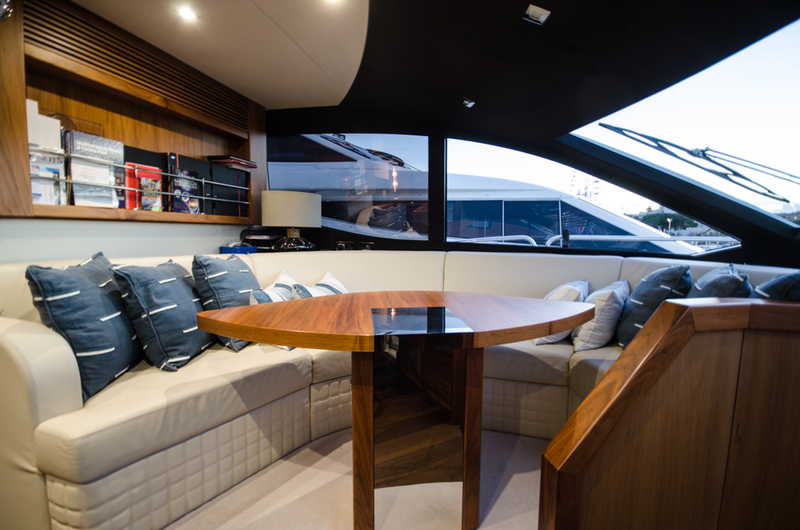 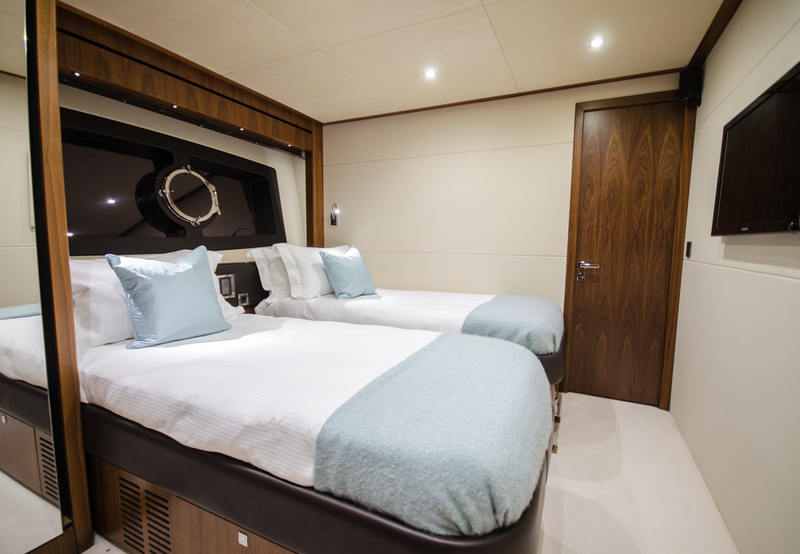 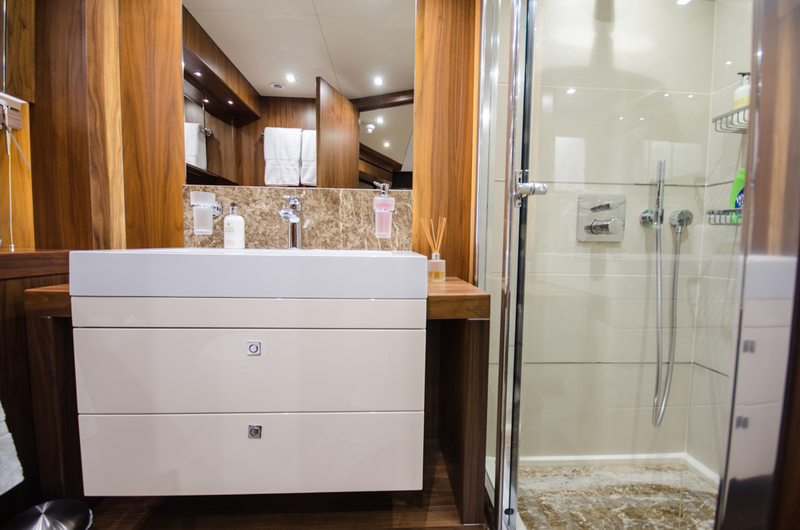 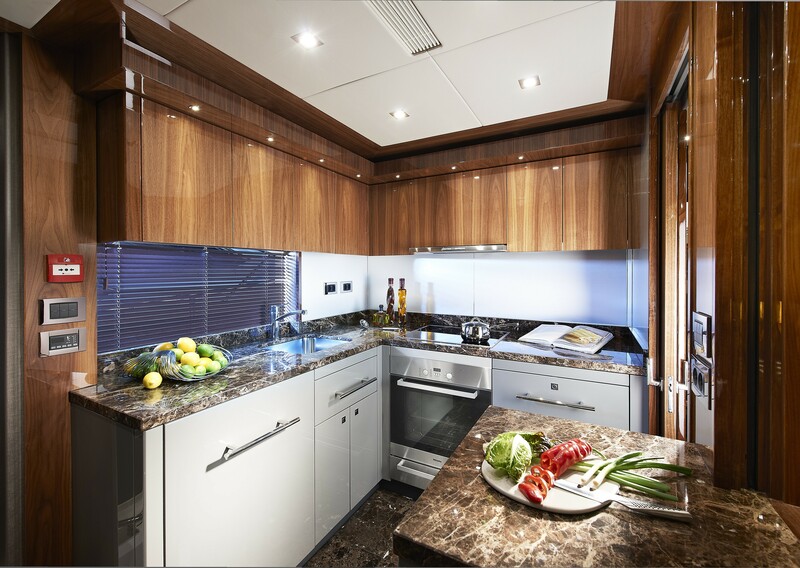 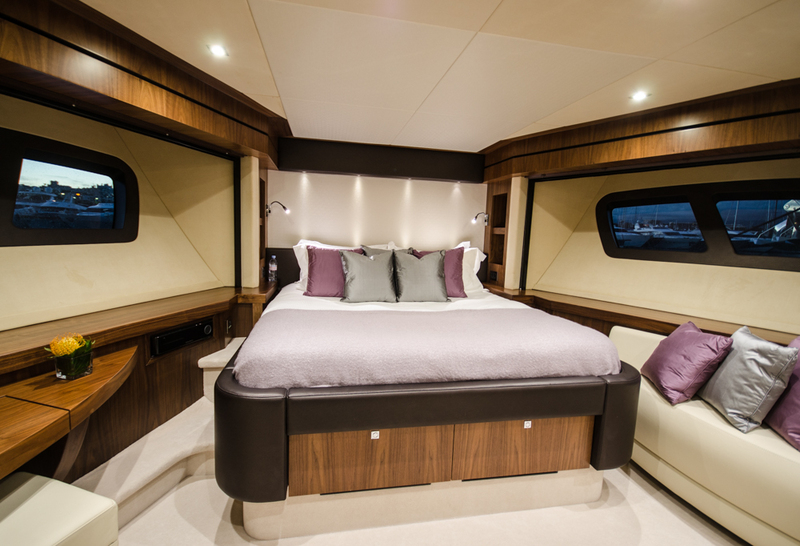 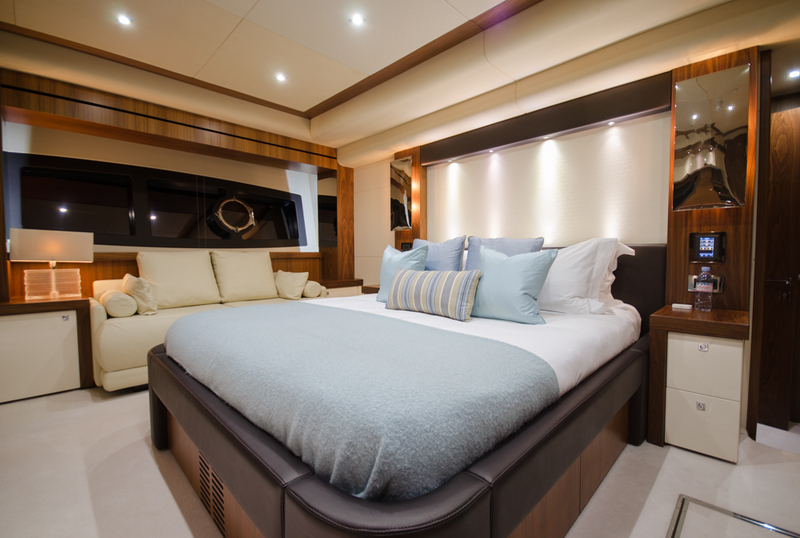 Sunseeker 28 superyacht OASIS can accommodate up to 8 guests in style. 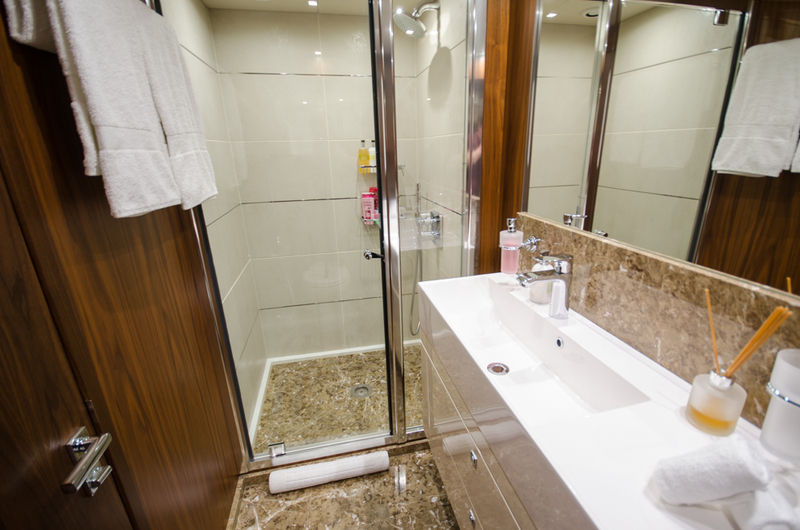 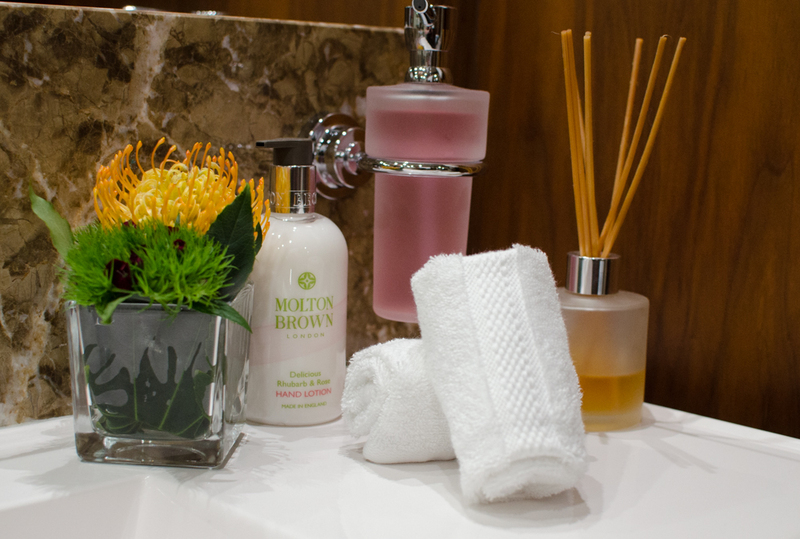 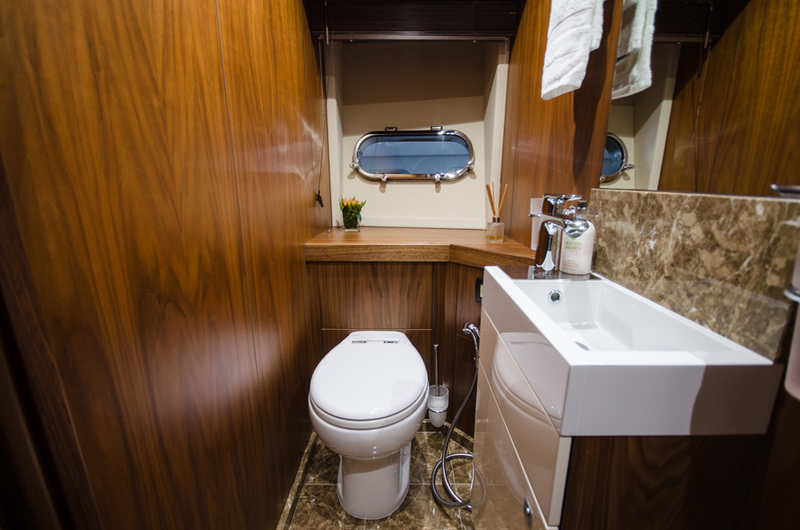 There are 4 comfortable suites including an Owner's cabin, a VIP cabin, a double cabin as well as a twin cabin. 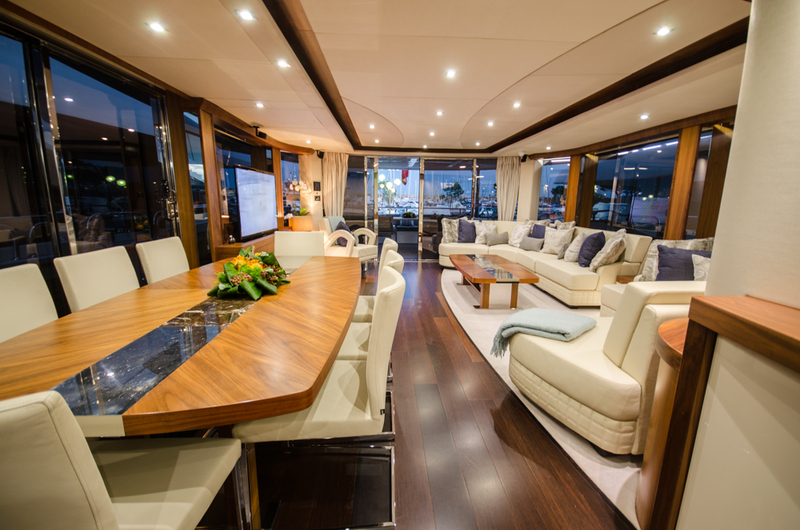 She is managed by a 4 attentive crew. 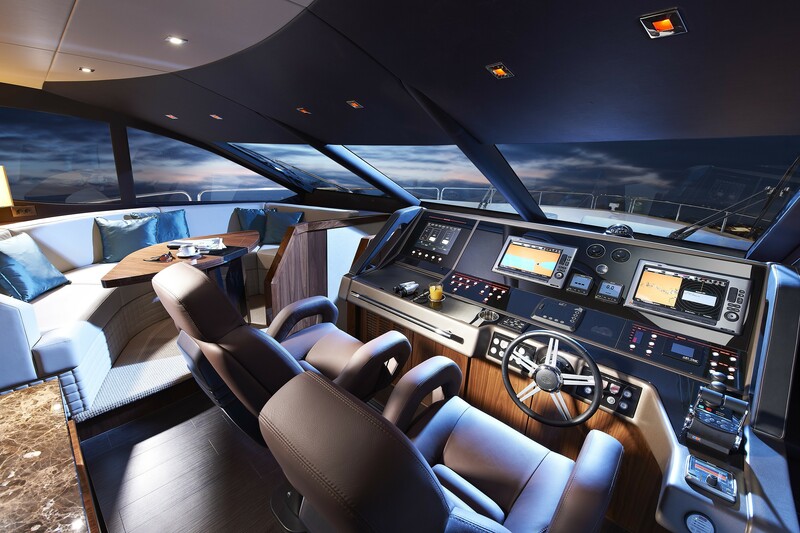 Built to comply to MCA and MCA coded Cat 2 standards, the 28m luxury yacht OASIS achieves a top speed of 28 knots and a cruising speed of 20 knots. 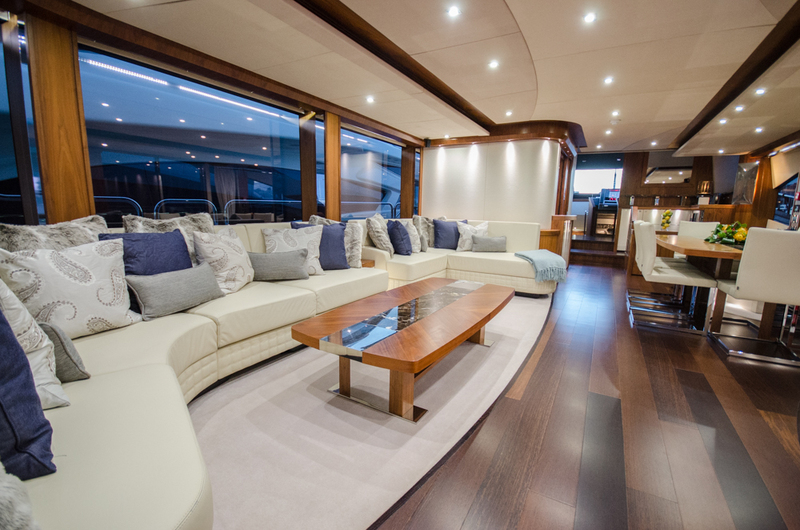 The total number of 8 guests can find the utmost in luxury aboard the Sunseeker's superyacht OASIS. 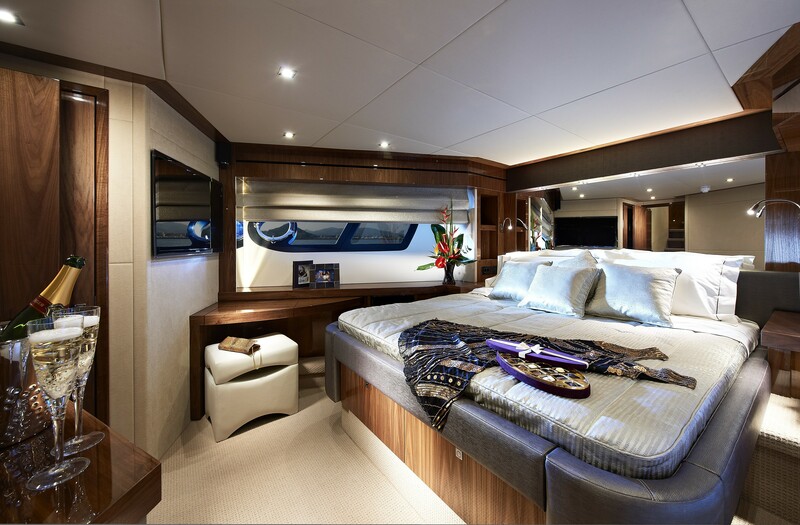 She provides 4 beautiful suites. 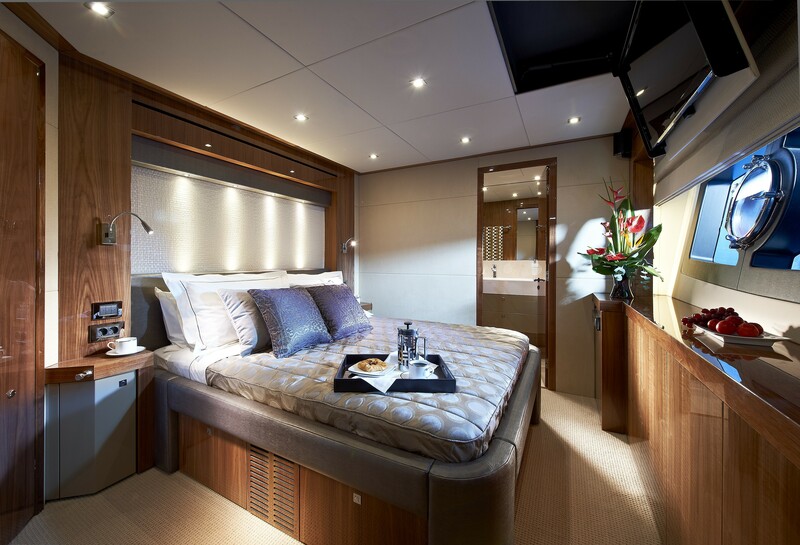 These include an Owner's cabin, a VIP cabin, a double cabin as well as a twin cabin. 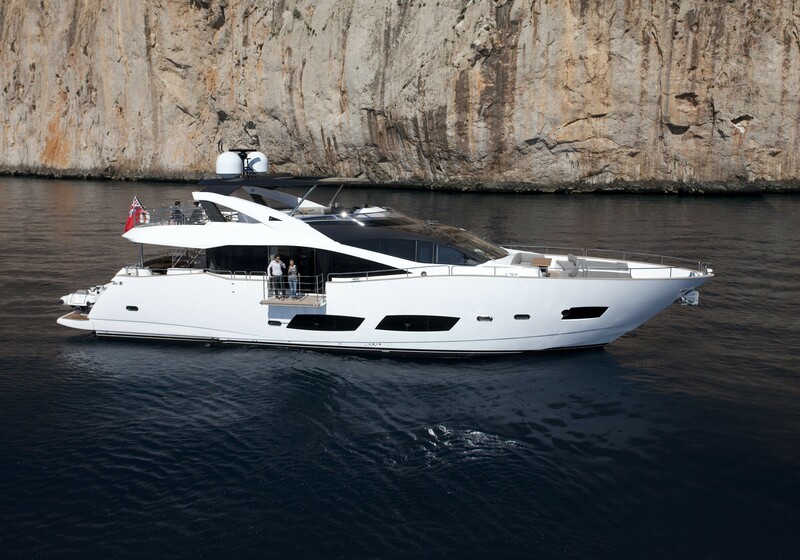 She carries an impeccable 4 crew of 4 professionals. 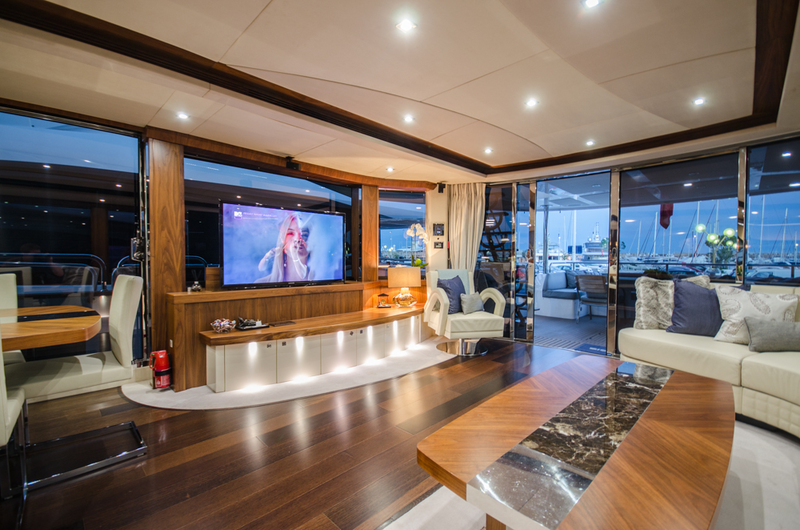 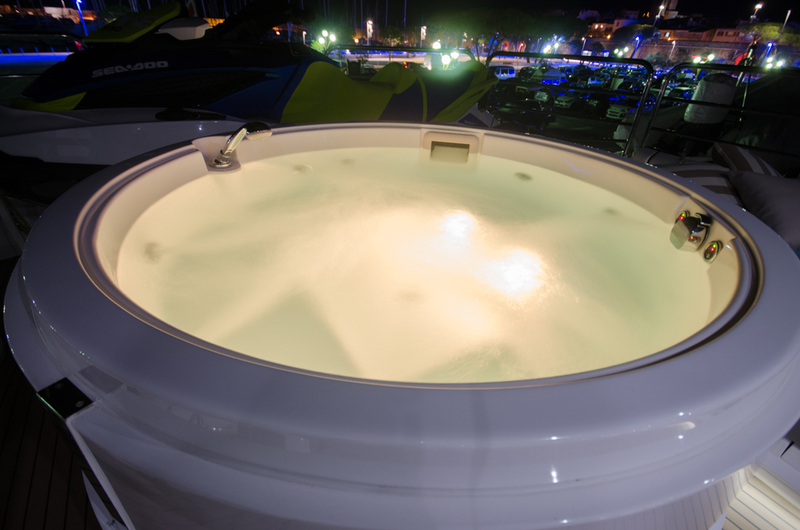 Charter yacht OASIS offers the following WATER SPORT TOYS: Williams 445 jet tender, Donut, Waterskis, Wakeboard, Kneeboard, 55" LCD TV in saloon, Apple TV, Sky TV, Bose surround sound system, Blu-ray player, ipod docking in saloon, 40" LCD TVs in master and VIP, 32" LCD TVs in guest cabins, Exterior Aft: - Dining for 8 guests - Fridge and Ice Maker - Hydraulic Swim Platform Exterior Forward: - 2 large sunbathing pads - Large seating and table Flybridge: - Large bar - Fridge and Ice Maker - BBQ Grill - Dining for 8 guests - 1 large forward sunbathing pad - 2 independent sun loungers - Hard top with retractable inner canopy and aft sun awning Side deck: - Drop-down Starboard bulwark balcony, with access to saloon via full length sliding doors.